Consultant in Cognizant Pune with a proven track record of excellence in SAP Authorizations and Security administration. Go to t-code BD54 You can; alternatively maintain the table view V_TBDLS using transaction SM30. In the same way, create the logical system name for the central system in all child systems. System users are required for the internal communication of the systems in an ALE group. These system users, defined in the target systems, are entered in RFC destinations in the calling systems. Note: – No license fees apply to these system users. In general, the access to particular table is controlled by authorization object S_TABU_DIS which has fields for activity (ACTVT) and Authorization group (DICBERCLS). In this case, it is understood that the table is assigned to specific authorization group and the name of authorization group containing the respective table has be maintained in S_TABU_DIS. There are large numbers of table which are not assigned to any authorization groups, these are included under authorization group &NC& but assignment of tables to this authorization group is not much useful while securing access to any particular table. The authorization group name can have up to 4 characters hence there is a limit to define the authorization group. If we need to give access to only one table belonging to some authorization group; say XYZ then it involves an additional efforts. 1. 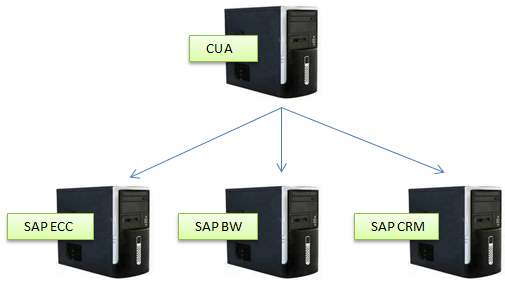 How to create the user group in SAP system? 2. How to find the Transport requests containing the specific role? Double click on option “Search for Objects in requests/Tasks” under node “Objects in Requests” in left panel of screen. This will take us to new screen. In object selection screen, enter the field value as ACGR and check the checkbox present at left side. Enter the role name for which we need the list of transport request. 3. How to check the transport requests created by other user? The above process can be simplified if Central User Administration system (CUA) has been installed in above landscape. Now, we will go through the detailed introduction to CUA in below section. 1 . How many fields can be present in one Authorization object? 2 . Which Authorization Objects are Checked in Role Maintenance ? Simple Tips to change SAP tables without coding or debugging. 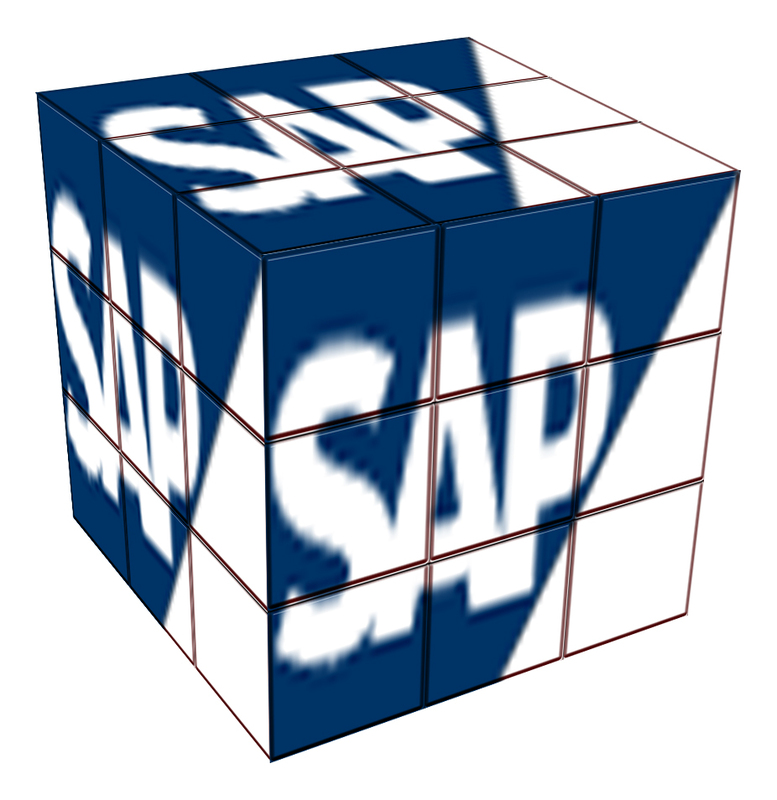 This article explains SE16N_CD_KEY, SE16N_CD_DATA, S_DEVELOP, AP_EDIT, SE16N, S_TABU_DIS of SAP System. When in transaction SE16N use the command &SAP_EDIT in the command field in SAP. However, this works if you have debug with changes access for object S_DEVELOP, but S_TABU_DIS is ignored as well as the system settings regarding changes. If you use this function for transaction, master data or other tables that cannot be changed with SM30, you can cause quiet some damage. So, use with caution. 2: In the command field enter “&SAP_EDIT” and hit enter. The maintenance indicator in SE16N will be switched on. System security file parameters (TU02) (e.g. password length/format, forced password sessions, user failures to end session etc.) have been set to ensure confidentiality and integrity of password. 1. Setup and modification of user master records follows a specific procedure and is properly approved by management. independent of the person responsible for user master record maintenance. 3. An appropriate naming convention for profiles, authorizations and authorization objects has been developed to help security maintenance and to comply with required SAP R/3 naming conventions. 4. A user master record is created for each user defining a user ID and password. Each user is assigned to a user group, in the user master record, commensurate with their job responsibilities. 5. Check objects (SU24) have been assigned to key transactions) to restrict access to those transaction. 6. Authorization objects and authorizations have been assigned to users based on their job responsibilities and ensuring the SOD (Segregation of duties). 1. Changes to user master records, profiles and authorizations and ensure the changes were properly approved. (The changes can be viewed with transaction (SECR). (TDDAT) whether all system tables are assigned an appropriate authorization class and users are assigned system table maintenance access (Through S_TABU_DIS) based on authorization classes commensurate with their job responsibilities. 4. Assess and review of the use of the authorization objects S_Program and S_Editor and the review of program classes (TRDIR) whether all programs are assigned the appropriate program class and users are assigned program classes commensurate with their job responsibilities. We can find the source code for some of the Display All objects from transaction code SE38, using Utilities –> Environment Analysis. We an also look at the object hierarchy by clicking on “Display Object List” , while looking at the source code. There are various tables that cross-reference components. These can be found by tracing a where-used, for example. If we want to reproduce these in our own SAP ABAP code, we have to spend a lot of time in debug, finding out exactly when the standard SAP code is called, and how it is called. In CCMS infrastructure , if the system identifies a problem, it should execute an auto reaction, such as informing the responsible person. Completed messages alerts are no longer stored in the monitoring segment, but rather in a database table (ALALERTDB). This table should be regularly cleaned up (report RSALDBRG). The completed messages can still be displayed using the Alert History. From a security point of view, it is recommended that you also define a second RFC connection between the systems, with which the analysis methods can be started in the remote system from the central monitoring system. If a problem occurs, you can therefore branch directly from the central monitor to the remote system to analyze the situation in more detail. SAP recommends that, for your regular work, you create your own monitors that display precisely the cross-system or local data that you require for your work. The sets and monitors delivered by SAP cannot be changed. Threshold values must be stored locally in every system. However, instead of maintaining the same threshold values in every system, SAP recommends that you maintain the values in the central monitoring system and then distribute them to the monitored SAP systems using the transport system. The delivered SAP monitors should always be used only as templates. The copied monitors are then adjusted to the customer’s requirements. Before you create your own monitor, you should clarify the purpose of the monitor. The monitor should display as little data as possible in as clear a way as possible. The prerequisite for transporting the threshold values to other SAP systems is that you have stored them in properties variants. In the RFC connection that is used for the start of the analysis method, do not enter a user, but rather check the field Current User. As a global guide value, SAP recommends 10-20 monitoring attributes for each monitored instance in the central monitor. Note the naming convention that your monitor set should not begin with SAP. 1. SPAU and SPDD list should be checked before start of support package application. 2. Objects in repair state needs to be released. 3. It is recommended that latest SPAM/ SAINT version should be applied before starting and Support Package application. 4. Enough space to hold the support packs in “EPS” in directory USR/SAP/TRANS/EPS/IN. There should be no aborted packages from previous support pack or Plug In applied. 5. Support Packages should be applied in the sequence of number of support packs. 6. Technical & functional consultants need to be informed while applying support packages. 7. Schedule downtime and inform the users. 5. Import the Queue Support Package starts upgrading the system and it goes into various phases like TP connect to DB, DDIC import, DDIC Activation. These phases can be found in Table PAT01. While applying support packages its stops to run SPAU/SPDD. SPAU: This is the transaction to update repository objects like programs, reports, transactions, function modules while applying support packs. This is the phase where functional consultant’s assistance is required. SPDD: This is the transaction which is used to update Data Dictionary Elements while applying support packages. This is the phases where functional consultant’s assistance is required. Note: If the objects are changed earlier with the help of SAP notes, now these notes are part of the support packs which are modifying the system. In this scenario each and every object which were modified earlier with the help of Note are popped up on the screen whether to keep the original or change to newer version.